Christmas is fast approaching! We all love a good spread of festive food and obviously, we want a sackful of wine to go with it all. As such, below are our favourite Top 12 Wines that we'd be bringing and pairing with our Christmas brunches, lunches, and any other munches we find ourselves at, all paired with 12 delicious Christmas food ideas, that you are most welcome to steal from us. 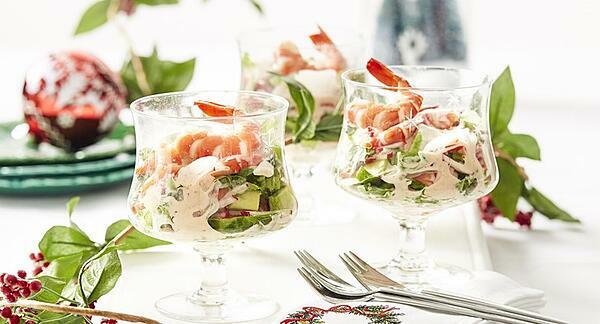 This classic retro starter packed with juicy prawns will never go out of fashion. Plus, who can say no to Marie Rose sauce? We certainly can’t, and recommend to serve this seafood starter in unadulterated fashion. Keeping things light before the onslaught of roast dinner with all the trimmings? Then stocking up with smoked salmon in your fridge is a wise choice at Christmas. This smoked salmon with horseradish crème fraîche & beetroot is a speedy salad that can be whipped up as an impressive starter - the fish will also be completely lifted by the contrasting flavours. Serving a warm bowl of soup for a light Christmas starter can be extremely satisfying. A creamy celeriac and hazelnut soup with a drizzle of truffle oil for added luxury will go down like the first day of spring. If you want capture the more seasonal flavours, you can blitz some chestnuts and parsnips into a silky smooth blend and topping it with some crispy bacon pieces as well. 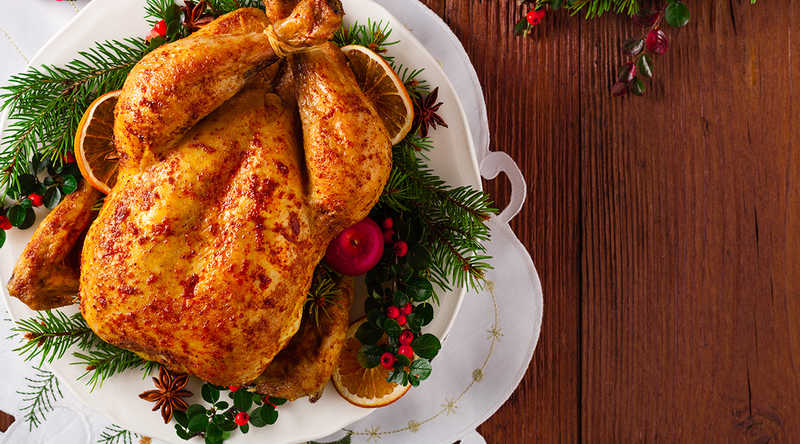 For some, there’ll never be any other centerpiece that can replace a turkey. We have done some research and the recipe of the year is a pancetta & roasted shallot-stuffed turkey. The turkey is stuffed with flavoursome shallots, lemon and thyme, with the addition of pancetta placed under the skin to keep the meat beautifully succulent and juicy. It is quite evident from the name of the dish that it will be a lip-smacking one and will need a lip-smacking wine to go with it. Once it is garnished and presented on the table, your guests will be kept longing for more. The best thing about the dish is that it is quite simple, and extremely delicious. If you’re craving Christmas ham, then a succulent, sweet, honey-glazed roasted gammon makes for the perfect family dish. Simple and effective with a festive, sticky and zesty glaze accompanied with a sharp cranberry sauce = bliss! Take your roast lamb game to the next level. It doesn’t get much better than slow-cooked lamb with a fresh and flavourful pomegranate glaze. You will have your friends and family drooling with this one. When we think of Christmas, prime rib is often the traditional fare. But the delicate puff pastries of beef wellington filled with beef tenderloin, mushrooms, butter, breadcrumbs, horseradish and dijon mustard, make an excellent standalone meal for your guests. One has to keep the traditions of Christmas alive with these classic fruit pies because you simply can’t have Christmas without mince pies. It is as simple as that! 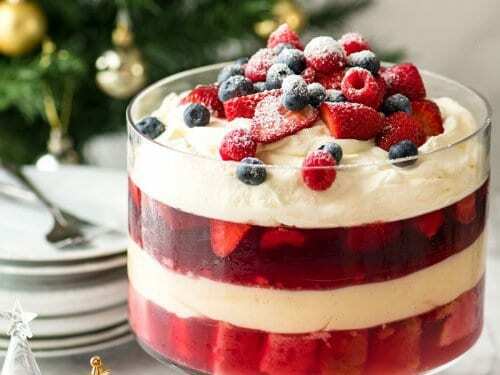 Love it or hate it, a fruity basin pudding embodies the spirit of Christmas. With a vanilla and brandy butter, you seriously can’t go wrong. Make sure the cake is drenched in brandy as well! A traditional, long-life Christmas plum pudding that's deliciously dark, rich and fruity. Layers of custard, cream, jelly, and sponge… this retro treat comes in a rainbow spectrum of guises, but at Christmas we prefer ours to be mixed with loads of berries and sherry. After writing all of this, it sure has made me very hungry, but more importantly, extremely thirsty. 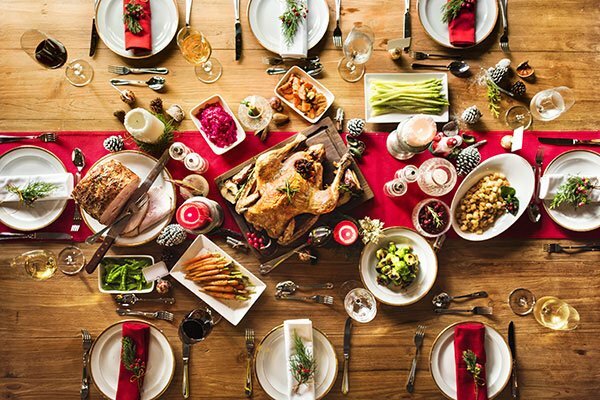 I can't wait for Christmas to come around as I'm most definitely going to be eating a lot of these tasty dishes and swallowing even more of these delicious wines, which I can guarantee will make your Christmas even more of a delight! A very early "Merry Christmas" to everyone!